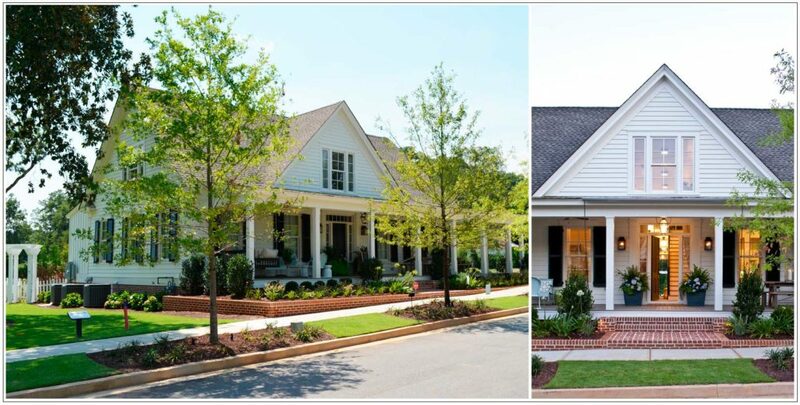 JOHN BYNUM CUSTOM HOMES demonstrates a clear understanding and appreciation of the metro Atlanta area’s distinctly individual neighborhoods, seamlessly creating homes that just feel right. Below are case studies of custom homes built Peachtree City, Serenbe, Senoia, Atlanta, and College Park. Serenbe, nestled in the rolling countryside, on the edge of Atlanta in Coweta County, Georgia is where John Bynum Custom Homes built this modern farm house with a cedar shingle wood roof. This was a challenging home with clean crisp architecture and large glass bays to capture the outdoors. John Bynum Custom Homes worked with architect Bill Ingram and the Serenbe Community to bring the home to life. College Park has all the benefits of a large city, while preserving the neighborliness of a hometown. Its close proximity to Atlanta’s Hartfield Jackson International Airport, makes it a popular neighborhood. This cottage that was a copy of an original home on that site. The goal was to make this home look like as if it had been loved and cared for generations. John Bynum Custom Homes collaborated with Historical Concepts to build this home in College Park. Peachtree City, the largest city in Fayette County, Georgia, is the peaceful setting for this classic town home. A complete remodel and addition, this town home is a fine example of the historical, colonial Charleston/Savannah style. John Bynum Custom Homes partnered with Historical Concepts to create this lovely home. Senoia, a quaint little town incorporated in 1860, was the site for this 2012 Southern Living Idea House. John Bynum Custom Homes took an existing farm house from 1890 and moved it to a new site. The team completely gutted and remodeled, doubled the size, and used all existing wood walls and materials to re-purpose into new floors and walls with extraordinary character. John Bynum Custom Homes partnered with Historical Concepts to create this Southern Living Idea House.